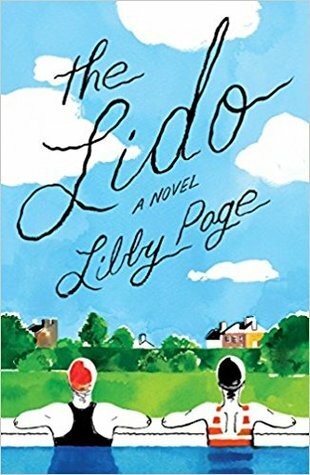 Today I'm featuring an upcoming read, The Lido by Libby Page. The excerpts shared are from the hardcover version I borrowed from the library. Step out of Brixton underground station and it is a carnival of steel drums, the white noise of traffic, and that man on the corner shouting, "God loves you," even to the unlovable. 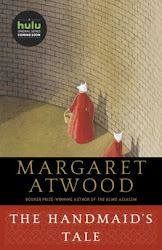 Page 56: "Kate knows this is her opportunity to confide in her sister—the hand reaching out to her. But there is so much to say that somehow there is nothing to say." My thoughts: I am really looking forward to beginning this debut novel that is getting quite a bit of buzz. I love the descriptive opening sentence, which perfectly captures the street scene at a busy train station anywhere in the world. From Goodreads: We're never too old to make new friends—or to make a difference. The library where she used to work has closed. The family grocery store has become a trendy bar. And now the Lido, an outdoor pool where she's swam daily since its opening, is threatened with closure by a local housing developer. It was at the Lido that Rosemary escaped the devastation of World War II; where she fell in love with her husband, George; where she found community during her marriage and since George’s death. This Friday Focus: The Friday 56 & Book Beginnings on Fridays post was originally composed and/or compiled and published by Catherine for the blog, bookclublibrarian.com. It cannot be republished without attribution. Sharing this original post on Twitter, Google+ and/or other blogs with appropriate recognition is appreciated. I've read some really positive reviews of this book too. That opening is great. Yes, I can definitely see the scene. Love the summer cover and the British setting. Sounds interesting! Happy weekend! I've been noticing this one around...and now I'm intrigued. I love when people have to adapt to change...and sometimes fight it. Thanks for sharing, and for visiting my blog. This sounds good. I haven't heard of it before but I don't read the genre so I'm not surprised. Mine is from The Point by John Dixon - a science fiction thriller from my review stack. Happy reading! This sounds interesting. I hope you enjoy it once you get to it. Ooh, I like that cover! I'm really curious about this one! I love the blurb though I think the present tense writing style would take some getting used to. I haven't seen this one before. It sounds interesting. My Friday post is here.